An abandoned housing wing is now a chapter of the Boys and Girls Club at the Sacramento Youth Detention Facility. The secret to ending solitary confinement at youth detention centers across the United States might just hide behind a nondescript door down a long hallway in a government building in Sacramento. From the outside, the room appears like any other in the Sacramento Juvenile Detention facility, but inside, gauzy filters take the edge off the fluorescent lighting, and bright murals evoke an underwater vibe. This multi-sensory de-escalation room (MSDR), dubbed "the Cove" by staff and the youth they serve, has been designed as a safe space to take kids in conflict. Here, kids can use a feelings chart, or play team-building games to build communications skills, or simply talk with a staff member about their struggles. Paired with staff training, and youth educational and recreational programs, the Cove is part of an ambitious program to minimize uses of force and solitary confinement in Sacramento, and is part of a larger trend to eliminate both in youth detention centers across the country. Ricardo Lemus would have welcomed the Cove when he was a teenager. 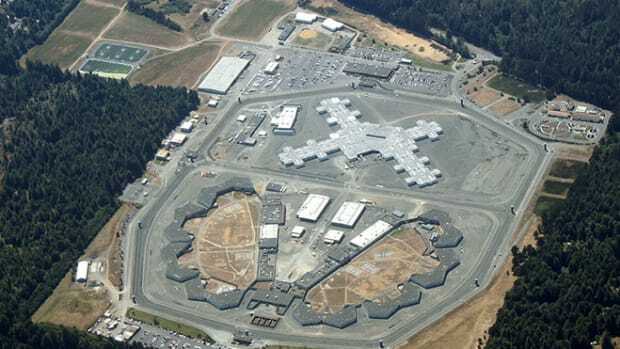 Lemus was 15 when he was arrested on a weapons charge and spent the next five years in various youth detention facilities in Northern California. He was frequently engaged in fights and riots, and, consequently, was often confined to a cell not much larger than the arm span of his five-foot-six frame. "Man, it was gruesome," says Lemus, now a Ph.D. student at Sacramento State University and founder of a non-profit organization helping troubled kids. "When I look back now, now as a grown man, one who&apos;s educated and understands what&apos;s going on, it was basically mental abuse," Lemus says of his time spending 23 hours a day confined to his cell. "As a little kid, as a little boy in there, (solitary) was rough. It left a lot of emotional scars." 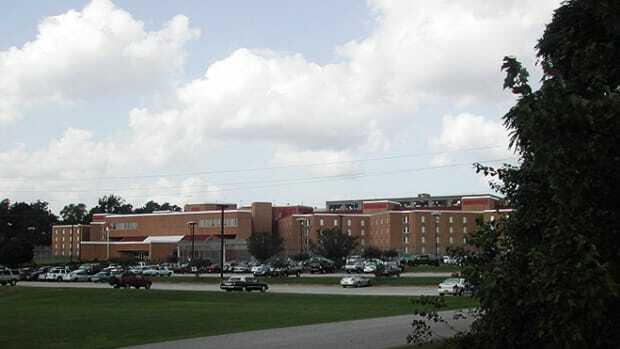 The Cove is currently the only MSDR of its kind in the youth detention system, although the idea that de-escalation is preferable to confinement—not only for the civil rights of the juveniles, but for staff, politicians, and administrators—is one that is gaining traction within detention centers across the U.S. Several states have implemented new policies regarding solitary confinement as part of holistic reform that includes early parole for youths serving life sentences, raising the age which juveniles can be tried as adults, and a reduction of the juvenile inmate population by redirecting youth into community programs rather than incarceration. And the Cove, like many other programs offered at the Sacramento County Youth Detention Facility, offers a blueprint to other facilities wishing to reduce, and eliminate, how they manage disruptive behavior. When President Barack Obama issued a ban on solitary confinement for youth offenders in 2016, many thought it signaled an end to punitive solitary confinement like what Lemus experienced. But the ban only applied to federal institutions. Of the nearly 50,000 youth offenders being held at the time Obama signed the executive order, only 26 juveniles were in the federal system. Nearly every juvenile justice and human rights organization has publicly denounced solitary confinement for kids, including the American Academy of Child & Adolescent Psychiatry, which says the practice can lead to depression, anxiety, and even psychosis. It was in an attempt to avoid further traumatizing the kids in his care, many of whom arrived with pre-existing mental-health conditions, that led Sacramento Chief Probation Officer Lee Seale to create the Cove. Seale, who took the helm of the troubled Sacramento facility in 2013, in the midst of a lawsuit alleging "excessive force, deliberate indifference to serious medical and psychological needs, and conscience-shocking conduct," was required by the state to make some changes to the facility, but continued to push to make the facility one of rehabilitation rather than punishment, long after the basic requirements had been met. 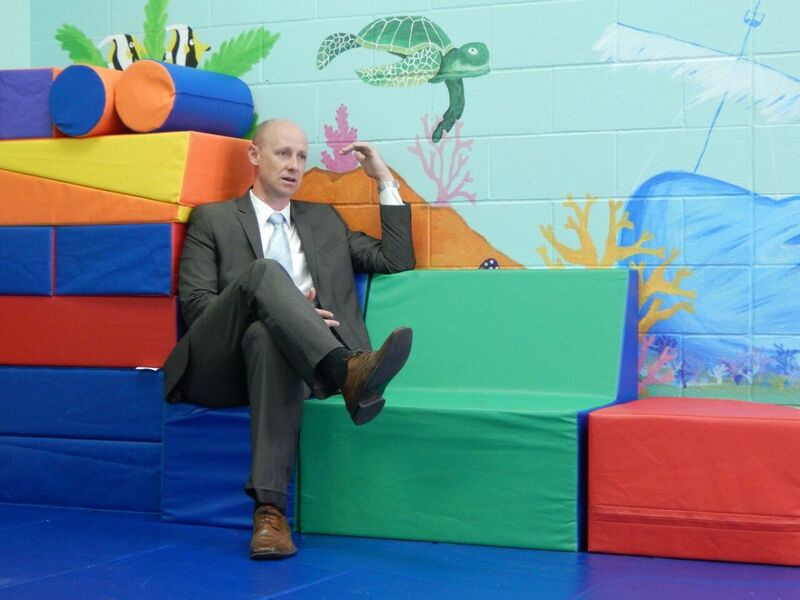 Chief Probation Officer Lee Seale in the Cove in Sacramento&apos;s Youth Detention Facility. "The idea that if you make a detention center negative enough that they won&apos;t come back is a myth. Their brains can&apos;t process risk and reward, or the long-term impact of their actions," Seale tells me as we walk through the center. "We want to create a positive environment where they feel like they can put it all behind them, go to school, get a degree, get their record sealed, and be successful." While walking through the facility, Seale is passionate as he describes restoring a disused swimming pool to provide swim lessons and lifeguard certifications to the kids, a Beat the Chief ping pong tournament which he seems to lose with a certain regularity, and an in-house chapter of the Boys and Girls&apos; Club, which had been created in an abandoned housing wing. The focus, according to Seale, is on creating a network within the facility that will provide the kids a safety net when they return to the outside world. "You don&apos;t have a lot of tools if you&apos;re running an institution," Seale says. "Taking a kid by force back to their rooms is one of those tools but nobody wants it." Since opening the Cove in November of 2016, there has been a dramatic drop in the number of hours kids spend in room confinement in Sacramento. In October of 2010, they spent an average of 28.3 hours of "program restriction" per month, often a euphemism for solitary confinement. By April of 2017, the rate of room confinement was just 1.6 hours per month. In February of 2018 the center had an all-time record low for the fewest uses of force, at eight for the month, with use of force measured by any time any staff member needs to apply physical pressure to a kid. It&apos;s a change Seale directly attributes to the opening of the Cove, and training of staff in what he calls participatory engagement techniques. 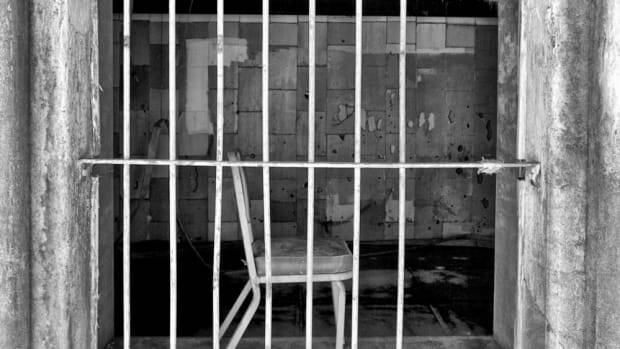 Although the negative effects of prolonged solitary confinement on a developing adolescent brain are well documented, how widespread the practice remains is still shrouded in secrecy, and is often only brought to light after a tragedy or a lawsuit. Training staff in de-escalation tactics as a practical alternative to placing kids in solitary confinement is critical to ending the practice, according to Mark Soler, the executive director of the Center for Children&apos;s Law and Policy in Washington, D.C., The Center is campaigning to end solitary confinement for kids nationwide. "The facilities where solitary confinement is the biggest problem are the places where the staff get the least training, or the least effective training," Soler says. "Staff may get some kind of training on de-escalations, but typically the training that they get is about 85 percent on physical controls of young people who are out of control and 15 percent on de-escalation techniques." A number of states and jurisdictions are providing training that reverses those percentages, with emphasis on minimizing conflict between detainees, as well as between staff and the kids. Florida, New Mexico, Ohio, and Texas have implemented non-violent conflict response, or de-escalation training, for their staff, which often relies on verbal cues in a moment of conflict. Seale&apos;s team, however, depends on a more collaborative and ongoing problem-solving technique first developed in 1998 by Mass General&apos;s Department of Psychiatry. 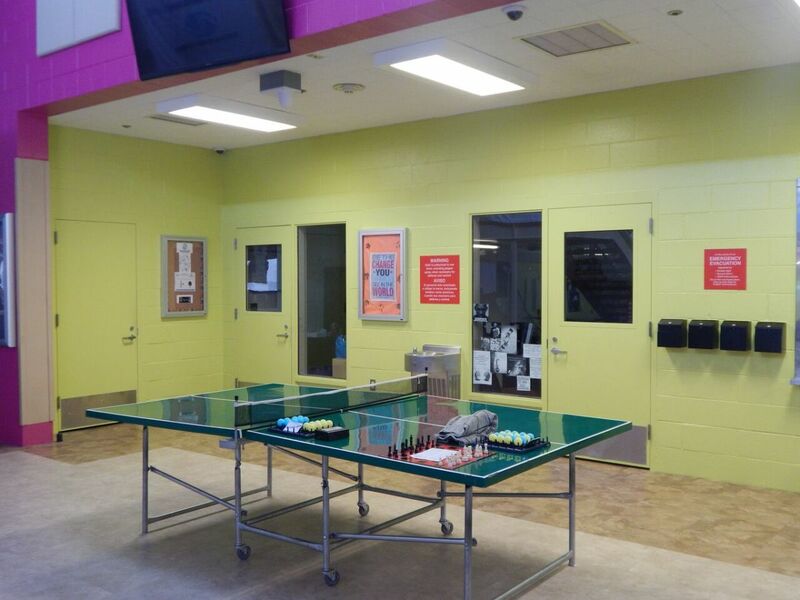 Friendly competition between staff and detainees includes a Beat the Chief ping pong tournament. "Staff need to help craft the policies and feel like they&apos;re a part of the solution," Seale says. "When you have management that&apos;s pushing it from the top down, you&apos;re just going to run into friction and it doesn&apos;t work." 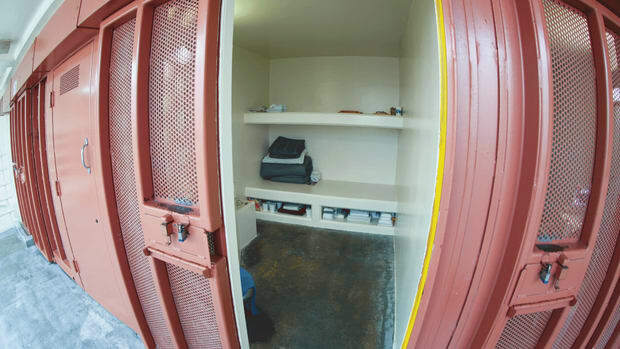 Without staff engagement and strict oversight, Dr. Louis Kraus, chief of child and adolescent psychiatry at Rush University Medical Center in Chicago, says staff is simply going to work around any policy banning solitary confinement. 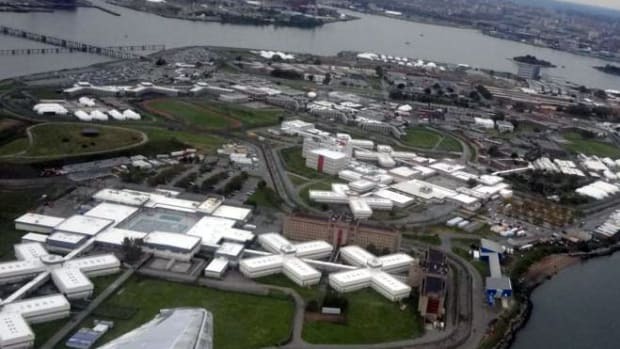 "The problem is programs can say that they&apos;re not going to use solitary confinement but then you hear about things that kind of sound like quite a bit like solitary confinement." A slate of state laws across the country are also helping drive the change. Effective January 1st, a new law in California places restrictions on the use of solitary confinement, only allowing it when "less restrictive options have been attempted and exhausted" and then only for four hours, unless there are extenuating, and documented, reasons. A similar law is newly in effect in Washington, D.C., with a cap at six hours of solitary confinement. In Nebraska, a law requires state facilities to issue reports of all incidents of solitary confinement longer than one hour. Spurned by two suicides of youth while in confinement, Massachusetts implemented significant reforms, including requiring staff to receive authorization for any confinement longer than 15 minutes, and adopting de-escalation practices and behavior modification to prevent incidences of isolation. Other states and jurisdictions have implemented similar laws. Aside from the moral imperative, there are financial benefits to ending solitary confinement in youth facilities, as well. A 2003 study published in Psychiatric Services Journal found that a juvenile detention center that reduced their use of physical restraint and confinement by 91 percent over a three-year period reduced their costs from $1,446,740 to $117,036, had fewer staff turnover, sick days, injuries and worker compensation, and significantly higher levels of well-being of the kids who were being discharged. 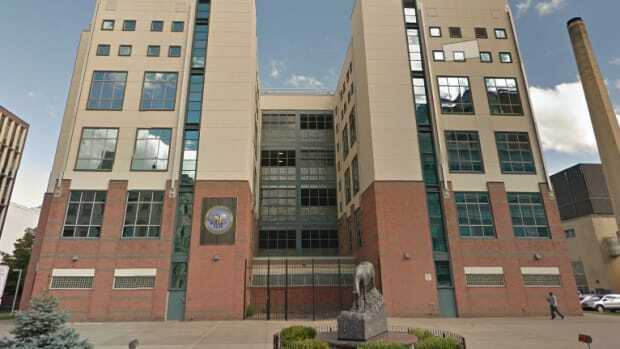 That&apos;s played out in centers throughout the country; worker compensation payouts in Colorado&apos;s state-run youth detention centers have totaled nearly $5 million since 2013; New York City recently offered a $5 million settlement to 470 former adult and juvenile inmates subjected to solitary confinement; Sacramento paid $475,000 to settle their lawsuit; and similar settlements have been made across the country. In contrast, the Cove in Sacramento cost approximately $5,000. 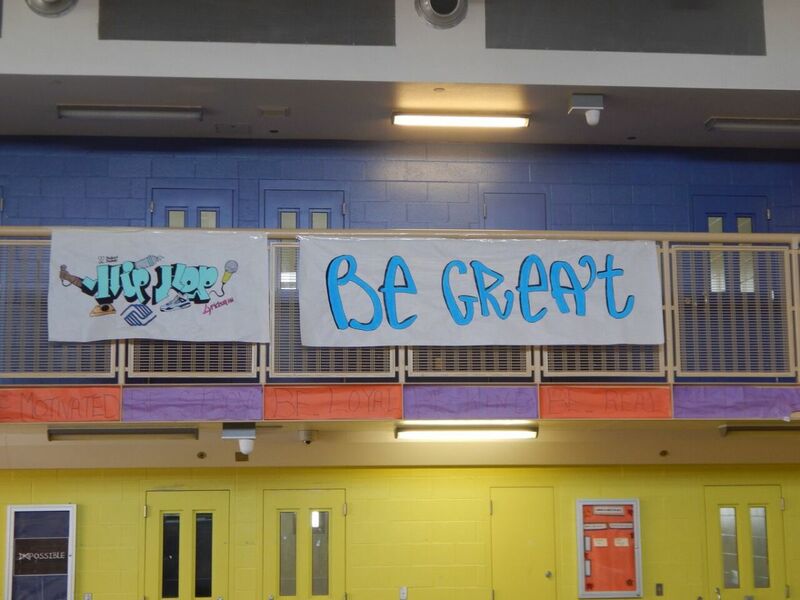 Staff painted the underwater-themed murals themselves. A second, newer MSDR, the Treehouse, in another wing of the Sacramento facility, was comparable. Seale has made the manual his team developed publicly available, and is willing and eager to share their experience with any facility interested in replicating Sacramento&apos;s results. Lemus sees tremendous potential for the Sacramento program. "All of us as kids that are misbehaving, we&apos;re all acting out for a reason, to get attention," he says. "And when you act out like that, you miss those steps, you don&apos;t learn conflict resolution, you know. Having that skill set early on would have been definitely beneficial." Reporting was made possible in part through the Solutions Journalism Network&apos;s Freelancer Fund.